Like other firms in China, Apple passed a VAT drop to buyers. Media reports took a cynical turn. The reality is that Apple set new prices for its iPhones in China, featuring reductions of no more than 6 percent. The most popular iPhone XR, for example, was repriced 300 yuan (about $45) lower, just 4.6 percent less than it had been. The new prices pass along the benefit of lower Value Added Taxes set by China itself, which is seeking to reduce any friction that might be slowing down economic activity among its domestic consumers. If you went to buy something that cost $1, and found it priced at 94 cents, you wouldn't get excited about the price being "slashed." It would actually be insulting to be told by the store that the price had been slashed. While several reports sensationally insisted that the price "slashing" was made to correct "high pricing" that had resulted in lost sales in China to "competition," the single-digit percentage of change clearly has no effect on iPhones being significantly more expensive than China's domestic commodity phones. Huawei sells smartphones with an Average Selling Price less than $250, so Apple's ASP of nearly $800 is not going to suddenly become price competitive with Huawei's average offerings after a $45 change. Quite obviously, China didn't reduce Apple's taxes to cause pain for its domestic producers. The state itself knows that Apple has very limited real competition with commodity Android producers such as Huawei. China's affluent class uses iPhones, including Huawei's own executives, the company's brand ambassadors, and its public relations contractors-- even China's orchestrated propaganda campaigns against Apple were tweeted out by iPhone users. Apple's sales account for virtually all premium priced phones in the country. Globally, Apple sells the majority of all phones priced above $600. Understanding what is actually happening with Apple's pricing in China requires unlearning a series of false media narratives than have clogged up reality over the past few years before reaching peak insanity over the last few months. The larger question is: are the tech reporters spinning these stories really that ignorant, or are they just flat out lying? The idea that iPhone prices could be "slashed" is based on a delusional media fantasy is that Apple has priced its newest phones at obscene levels out of pure greed. It's particularly bizarre coming from people who also seem to think that Apple faces serious competition. You can't have stiff competition and, well, uncompetitive prices at the same time. That's pretty basic Econ 101, or even second grade lemonade stand, really. These same pundits also love to demand that Apple "innovate," apparently without any understanding that the cost of forward thinking innovation is higher prices. Apple's innovation is exactly what is driving up its production costs. Those costs also force up retail costs to end users, but they deliver an exceptional product at those higher prices. Today's iPhone XS is more than a commodity phone; it packs an advanced Intel modem, dual depth cameras, Samsung's best OLED display, and a series of other components that are expensive to produce. It's much more expensive than previous iPhones to build, something Apple refers to when talking about "higher cost structures." Google's Pixel 3, Samsung's Galaxy S10, and other high-end phones have similar price tags. However, they are unsustainable to produce because they sell in much smaller volumes. Apple's latest and most expensive phone models account for the vast majority of the more than 200 million iPhones sold every year. If Apple were only selling around 30 million of its newest flagships like Samsung, or just a few million like Pixel, it would be in trouble and actually needing to slash its prices to induce demand to leverage economies of scale. If Apple were merely selling yesterday's technology at lower prices to the majority of its customers, it would face the same problems as all of the Android makers that are doing just that. The ~$200 Average Selling Prices of Androids make it clear that every remaining phone maker is mostly selling lower and middle tier phones priced between $100 and $400, necessitating the recycling of older components and precluding the use of advanced technology like Apple's TrueDepth sensors and Application Processors in the class of its advanced A12 Bionic. Samsung's Mobile IM phone group is literally going out of business, with plummeting revenues dropping by double digits. If Apple pursued the same strategies, it too would be losing money and shrinking its influence over the mobile market. Apple clearly isn't-- and shouldn't be-- following the "be Samsung" advice offered up by dead wrong analysts and the media that amplifies their foolish advice no matter how often its proven wrong. Firstly, Apple is pretty obviously not even trying to compete with low-end device makers. If it were, it would be doubling down on low priced models like iPhone SE and iPhone 6, both of which can sell at much lower prices than Apple's newest models because they require far less expensive components. Two years ago, Walmart was selling iPhone SE for $299, finally putting Apple's phones directly in competition with volume Android sales. But rather than launching some successful surge in iOS unit sales or inducing new expansions of a lower end product lineup, Apple has almost entirely discontinued these less expensive iPhone models outside of Refurbished clearance sales. It's pretty clear from everything we know about sales estimates and analytics on the installed base that lower priced iPhones are not Apple's sales drivers. Apple continues to mostly sell its best and most expensive models. There's no other phone maker than can say that. Apple also isn't moving its new iPhones down-market. Rather than introducing new ~$200 mid-range models like Samsung's Galaxy J, A and M series, Apple focused attention last year on its state of the art $999 iPhone X as a vision for the future. It then introduced both higher and lower priced variants to sell this year, ranging from the $750 iPhone XR to its fully-loaded $1450 iPhone XS Max. All of those models would be considered "ultra premium" in the context of Androids, very few of which sell above $500. Samsung and Huawei have shown off phones priced as high as $2,600, but those show-off models aren't even shipping nor are they intended to actually sell in volume. They're positioned to make it look like both companies are tech leaders, rather than just shippers of low priced commodity phones in increasing unit numbers. After spending months insisting that iPhone X was too expensive to sell in any quantity, Bloomberg radically reversed its direction as it cheered on the introduction of expensive Androids in February, painting out the rising asking prices of Google, Samsung, Huawei (below) without ever pointing to any data showing that none of these are actually selling in volumes in any way comparable to Apple. Writing for Bloomberg, Mark Gurman even stated that "the move seems to have hurt Apple" in the quarter before those expensive folding phones were even released. Then to cover the logical bases, he returned to his cheap competition angle, stating that iPhone "sales stalled during the year, especially in China where competitors introduced phones with similar technology at sometimes a third or half the price." That beggars belief, considering that Chinese producers didn't just start selling cheap Androids this year. Google promoted ultra cheap Nexus phones for a decade, and started promoting $99 phones under Android One back in 2014. Why are cheap Android suddenly "hurting" Apple's sales after accomplishing nothing for the last decade? They're not. It's just that the people who didn't understand iPhone X last year still have no understanding of the market, or are writing things they know are false in a bid to influence the market. Sure doesn't seem effective, in view of the success of iPhone X and its successors. While Bloomberg worked hard to play up the idea that China's cheap Androids "seem to have hurt Apple", the real company suffering from cheap Androids is Samsung-- along with all of the Chinese producers of cheap Androids that are going out of business. Notably, Bloomberg didn't even mention that Samsung's phone unit was losing money and seeing its global revenues plummet by 20 percent, even while playing up the story of Apple's 4 percent decrease in global revenues last quarter as a dramatic, newsworthy crisis. Samsung has articulated to both investors and the media that its Galaxy J, A, M and other mid-tier brands are indeed a rather desperate effort to chase lost sales in China-- where it was formerly the top selling Android maker-- and in developing markets including India where domestic and Chinese makers are giving it tough competition in unit sales. This isn't a new strategy. Samsung launched the cheap Galaxy J back in 2015, and has continued to expand its low and middle tier phone models (typically in the $100-400 price range), making them the focus of its offerings. They're certainly the focus of its volume sales. Samsung's high priced Galaxy S models, which are priced like iPhones, are not selling well. But despite operating in the very same markets globally, Apple doesn't have Samsung's problems nor is it pursuing the same pricing strategies. Tech media figures like to talk about Apple's drop in Chinese iPhone sales last quarter as if it were specific to Apple or limited to smartphones, but like Bloomberg, they haven't been talking so much about what was causing Samsung's crash in premium sales that's destabilizing its entire phone business. In fact, they're often trying to spin Samsung's problems as not really an issue. Why should Apple do what Samsung has been doing if that isn't working? Apple's unit sales reporting, once provided with regional market detail, was harvested by analysts to create false and misleading reports that insisted that Apple would get pushed out of the phone business if it did not rush to market a $300 iPhone. These analysts were clownishly wrong. "It's time for a mid-range iPhone," Deutsche Bank analyst Chris Whitmore once announced to investors, outlining his ideas for a $350 unlocked device. That was back in 2011. It would be hard to set up a more purely scientific test of two pricing strategies in a given market than the reality of Apple and Samsung duking it out in China over the last few years. Even after being hit by a huge economic downturn in China over the holiday quarter, Apple's overall global revenues were barely blunted. It presented its second best holiday quarter ever: $84.3 billion in revenues. Following its low priced Android strategy, Samsung's sales in China have been devastated-- not just in the last quarter of trade warring, but for years now. It's losing money globally. Apple is not only still selling iPhones profitably, but is also seeing growth in sales of Macs, iPads and other hardware and services in China, while Samsung is a smoldering ruin of its once prominent position. It has no enthusiastic installed base seeking to buy App Store titles or music streaming, or to interest in a new Arcade subscription. Given the results of this experiment, how stupid would you have to be to keep insisting that Apple now do what Samsung did in China? The most successful things Apple has done involve investing to innovate its way out of a stagnating market. 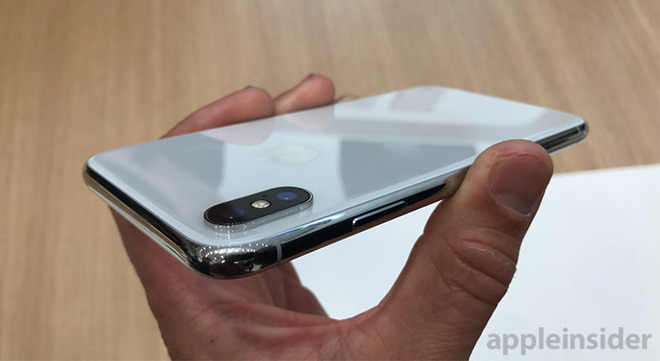 Just as smartphones were turning into generic slabs of glass that all featured similar cameras, Apple differentiated its fanciest phone with depth photography, flattering Portrait capture, convenient Face ID, Augmented Reality games, and playful Animoji, rekindling interest in having the newest, not the cheapest, iPhone. That worked. Even Bloomberg had to admit that, even if it decided to return to promoting its personal theories about how Apple's iPhone sales were somehow shifting to Huawei without resulting in any real shift in ASP. Who profited from the 6-10 million iPhone upgrades Apple failed to sell as expected in China last quarter? It sure wasn't Huawei, which reported a ten percent operating margin, a severe retraction in cash flow, and profit growth that lagged behind its revenue growth in its annual report. There was no windfall of billions from disgruntled Chinese consumers flocking to Android. While Apple's prices are higher than its competition, the reason isn't simply "padded profits" on Apple's end. Apple's production costs have never been higher. Innovation is expensive. Apple would love to be able to make the profits it was making on iPhones and iPads back before it was forced to innovate into its present day cost structures. Back then, the Average Selling Prices of both were also lower. So clearly, if Apple could reduce prices to boost sales at similar profits, it would in a heartbeat. In fact, rather than cartoonishly setting painful product prices at the malicious whim of its laughing executives, many of Apple's most difficult pricing issues are out of its control. It works to manage the price of components and hedge against shifts in currency exchange, but it can only do so much. When the United States embarked upon a trade war with China last year, Apple sought to calm things down to protect its own interests. Radical shifts in tariffs, economic output, and currency valuations result in higher prices for consumers and can cause buyers to delay purchases out of an uncertainty of the future. After China veered out of control in the December quarter, Apple's chief executive Tim Cook provided a post mortem on the situation, explaining that buyers in China were delaying upgrades in large part due to unfavorable exchange rates, explicitly citing "US dollar strength-related price increases" as a primary cause. This wasn't news to AppleInsider readers, as we've been discussing the impact of currency fluctuations on Apple's profits, pricing and demand for many years. But that reality was mocked and then flatly misconstrued by the same Bloomberg writer trying to shore up his false, naive fantasies about how product pricing works-- a year after being proven wrong about how consumers would react to a $999 phone. Hot on the heels of printing a wholly unsubstantiated report that imagined China had installed snooping chips on Apple's servers-- and after earlier publishing that extended campaign belligerently insisting that iPhone X would be a flop because of its pricing-- Bloombergcontorted Cook's statements to suggest that the company was again being humbled and embarrassed by superior Chinese producers able to ship cheaper copies of Apple's work. We know Bloomberg falsely reported this intentionally because the site published the story both ways. On January 3, it chided Cook for providing "a number of factors [that] contributed to the revised outlook for the holiday period," while specifically complaining that he "didn't mention that Apple had priced its new models at stratospheric levels." But two weeks later, the same writer stated that Apple itself had-- via Cook's same statement-- admitted that its "higher prices" were to blame for lower than expected iPhone upgrades. In two weeks, Bloomberg went from claiming that Apple's letter to investors had refused to acknowledge the impact of iPhone pricing on demand to stating that it cited "higher prices" as a primary reason for lower than expected sales. Imagine being a legitimate journalist and losing one's job-- as so many recently have-- and then observing Bloomberg staff writers having the job security to print complete balderdash, feature made up fantasies as inside reports, and even cite false quotes to forward fake narratives. Must be frustrating! And imagine working to develop and then mass produce complex products as affordably as possible, only to be arrogantly criticized by bloggers with zero experience in the industry for not simply lopping hundreds of dollars off your price because they said you should. It's not a simple matter of ignorance to portray Apple's latest price adjustment as a "slashing." It's an effort to misinform the public. That same effect was on parade when the same Bloomberg writer referred to Apple's trade in program as a "price slashing." The commonality of describing a 4 to 6 percent price adjustment by Apple as "price slashing" is particularly noteworthy because the same sort of rhetoric is not being used to describe actual events involving radical price "slashing" elsewhere in the industry. Notably, Google cutting $300 off the price of its Pixel 2 phone last year with "no trade-in required" wasn't portrayed as a cause of concern by Bloomberg as it offered up disproportionate, informercial-like coverage of Google's Pixel products, nor was it bothered by the ineffectiveness of those price slashing Google ads to actually sell Pixel devices. More recently, the Wall Street Journal just reported that Amazon has announced plans to again cut prices of a range of products at its Whole Foods subsidiary by about 20 percent, expressly to ditch the store's reputation as pricy and to induce sales in a competitive environment. Even that wasn't reported as "slashing prices." So why make up a fake story about Apple's business in China?